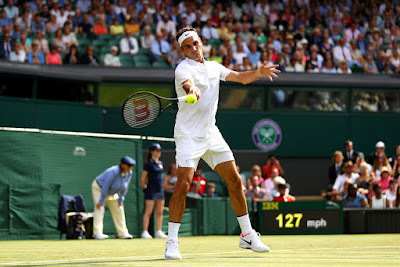 Seven-time champion Roger Federer became the Open Era match wins leader at The Championships on Tuesday, earning his 85th match victory at Wimbledon when Ukraine's Alexandr Dolgopolov retired due to a right ankle injury down 6-3, 3-0. 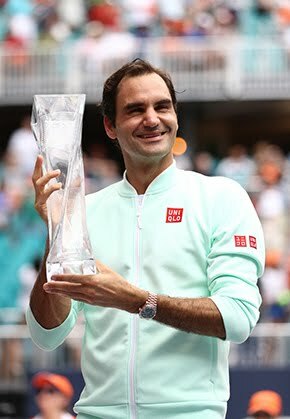 Federer had been tied with Jimmy Connors of the U.S. at 84 wins. 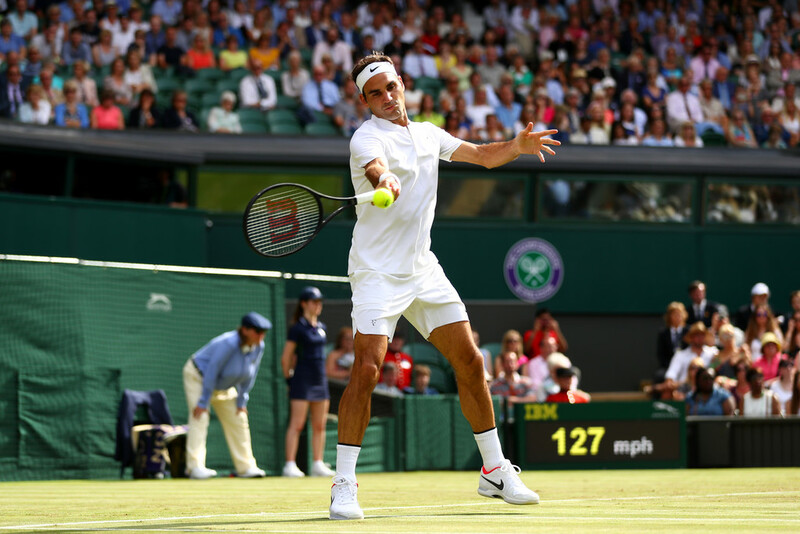 The 35-year-old Swiss reaches the second round at the All England Club for the 15th consecutive year and looked in form during the 42 minutes of action on Centre Court. Federer hit 10 aces and never faced a break point during the first-round match. He also struck 18 winners and broke Dolgopolov three times to improve to 4-0 in their ATP Head to Head series. 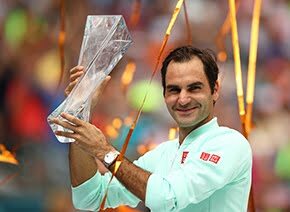 With his 10 aces, Federer has now hit 10,004 aces. He joins Goran Ivanisevic and Ivo Karlovic as the only three players who have hit 10,000 aces since 1991, when the ATP started tracking the statistic. Since 2003, led by Federer, who has won seven titles, a member of the 'Big Four' has won the Wimbledon title. When asked about their dominance, the Swiss admitted, "I think it's down to mind, fitness, tenacity, then talent as well. Put them all together, it's hard to crack us four consistently down. If you beat one of us, you might not beat the next guy. "Plus we play all very different. Pick me, Rafa, Novak, how different we all play to one another. For a player to run through the three of us is extremely difficult. If you're ranked lower than us, that's who you have to beat maybe on the way to win the tournament. It just seems pretty rough." Later in the day, eighth seed Dominic Thiem - a two-time Roland Garros semi-finalist - lost just 14 of his service points in beating Vasek Pospisil 6-4, 6-4, 6-3 in one hour and 55 minutes. The Austrian will now face France's Gilles Simon, a 7-6 (4), 6-3, 6-3 winner over Chilean qualifier Nicolas Jarry.